In this year’s Halloween lesson, I decided to make some spider rings and jack-o-lantern rings with the students. 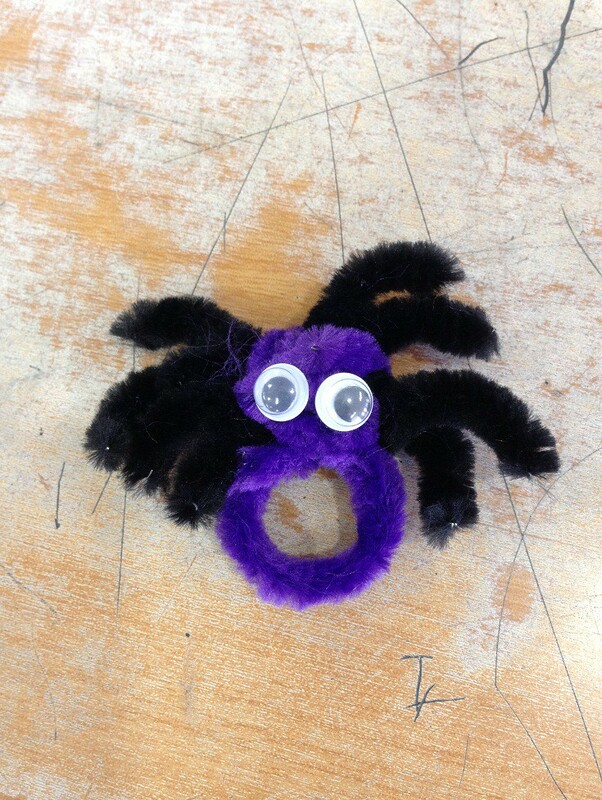 I got the idea from these finger puppets, but I didn’t want to use a hot glue gun with a class of thirty students, so I decided to make something that didn’t require that. 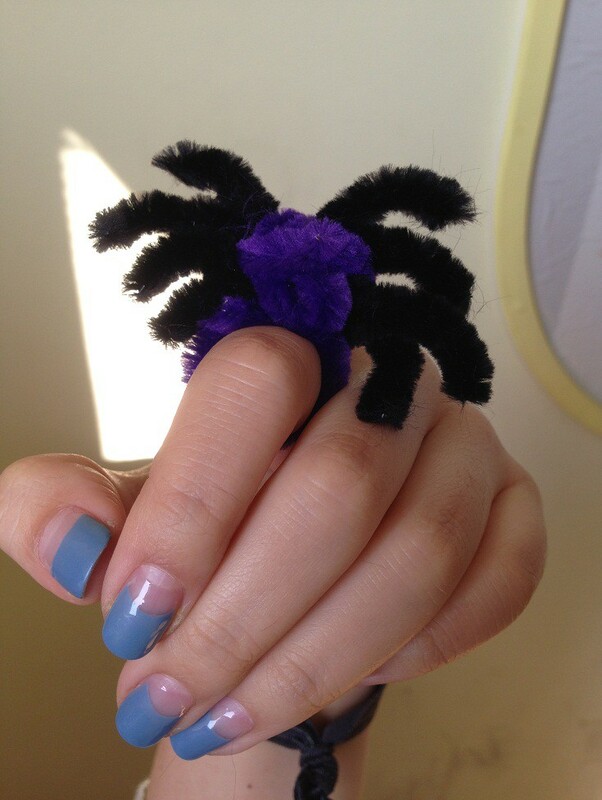 Wrap the purple pipe cleaner on your finger. actual size and twist it securely. 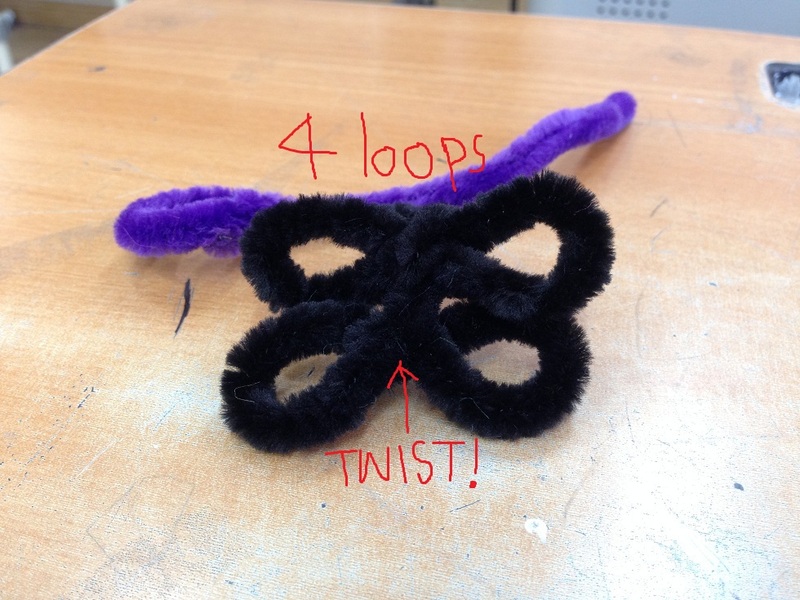 make four loops of the same size. Make sure you twist it tightly every time so it won’t fall apart. 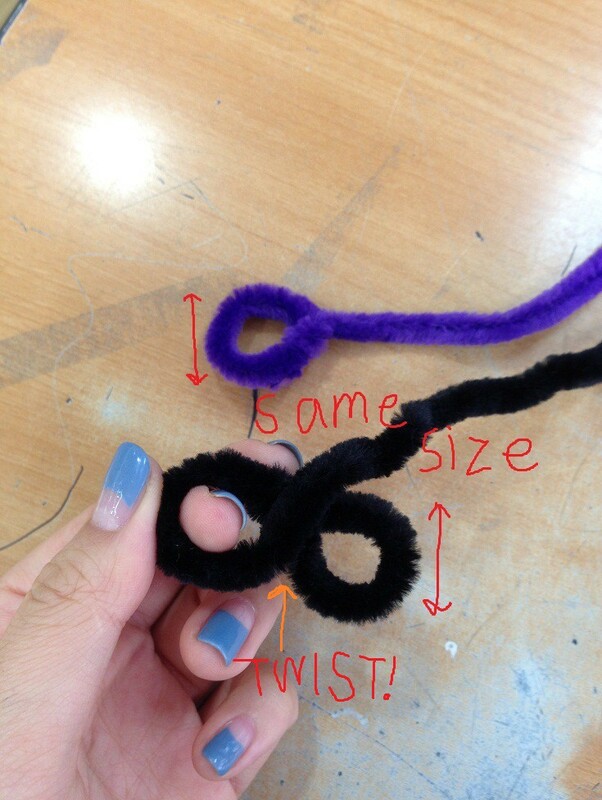 Next, combine the two pipe cleaners. 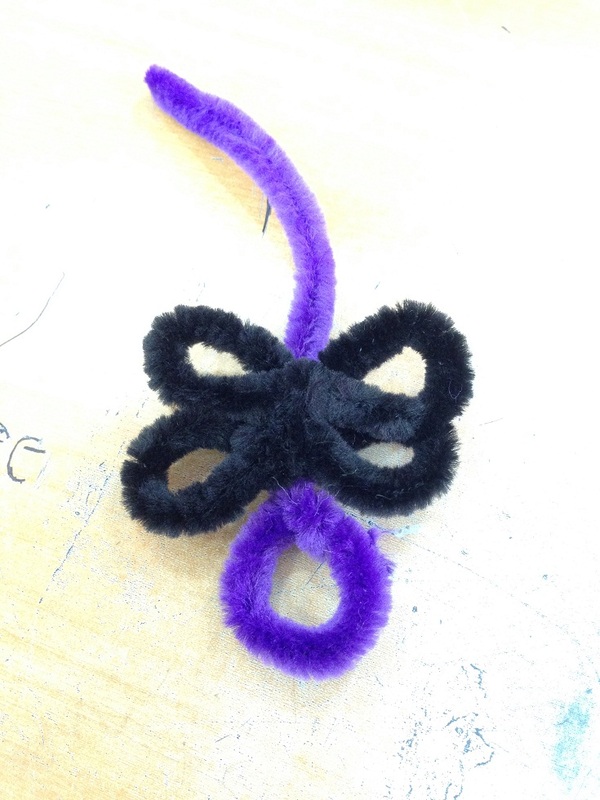 Wrap the purple pipe cleaner vertically around the black one twice. 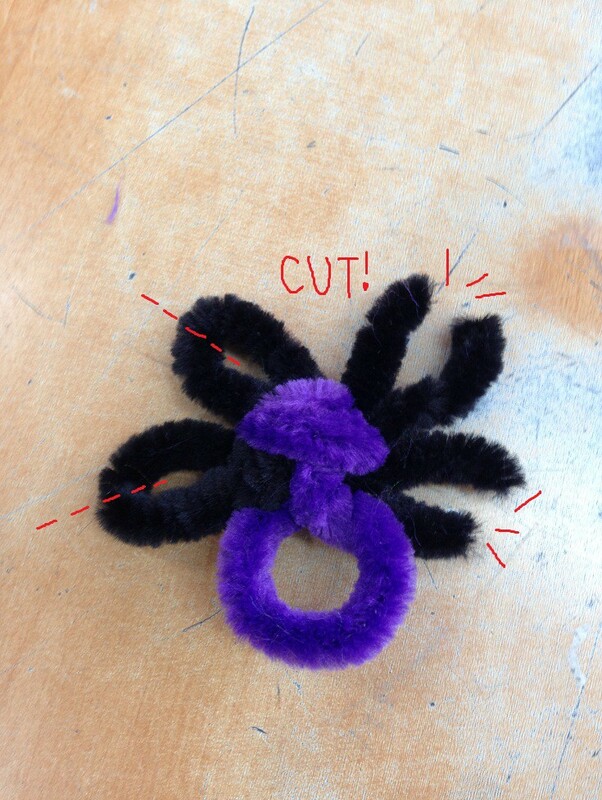 Wrap it horizontally as well to make the spider head. 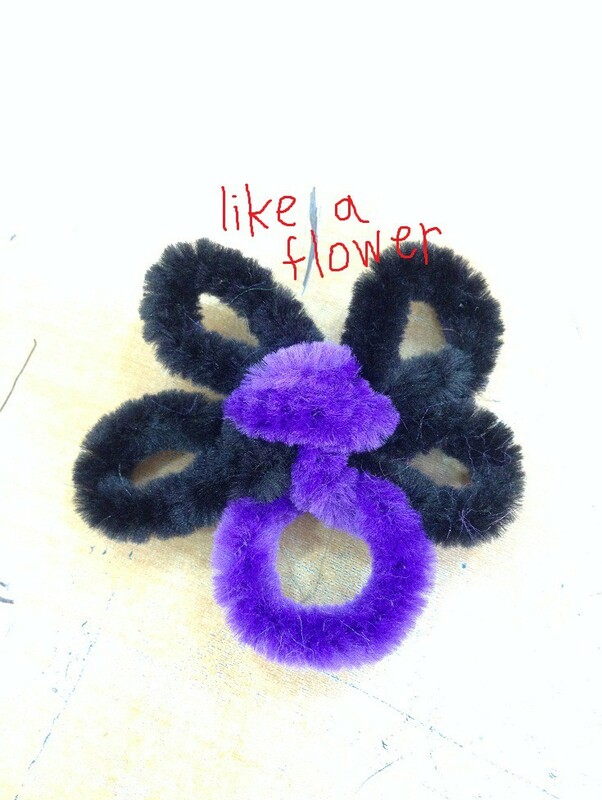 It will eventually look like a flower. 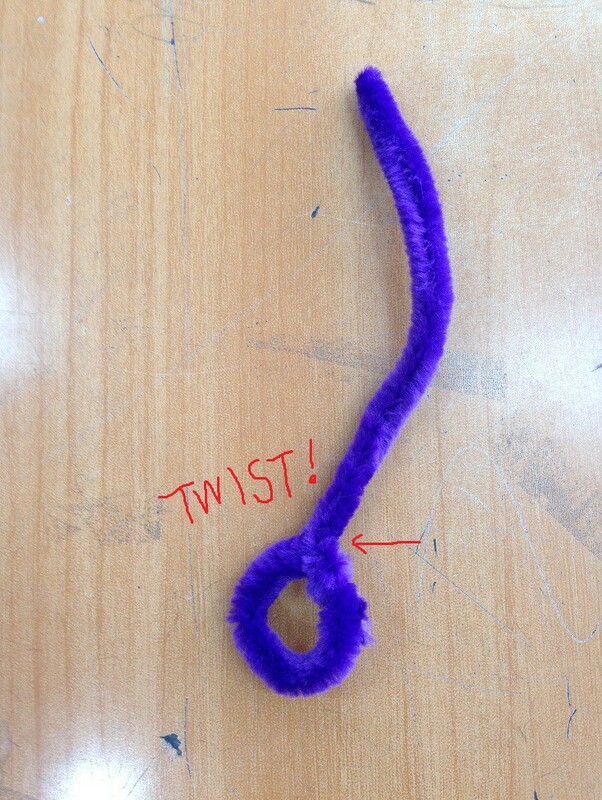 Cut the black loops in half. 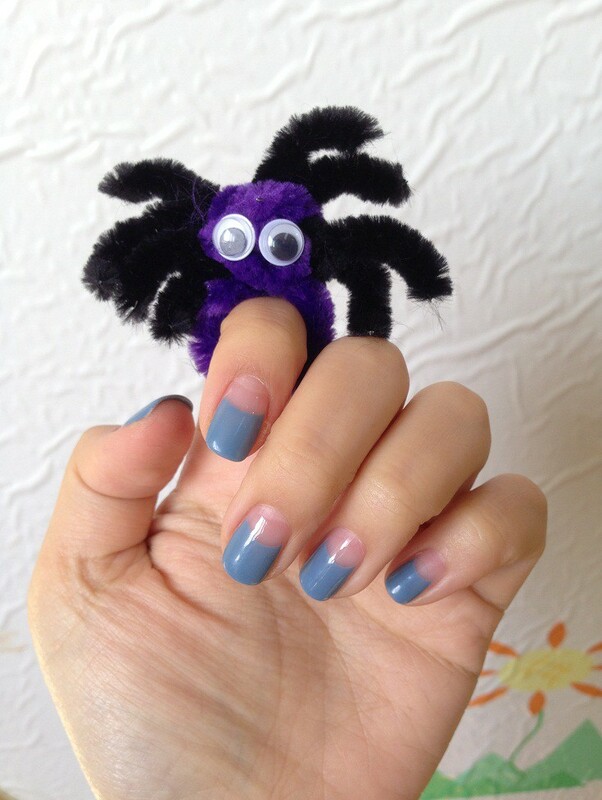 These are the spider legs. Cutting these are dangerous for younger children. 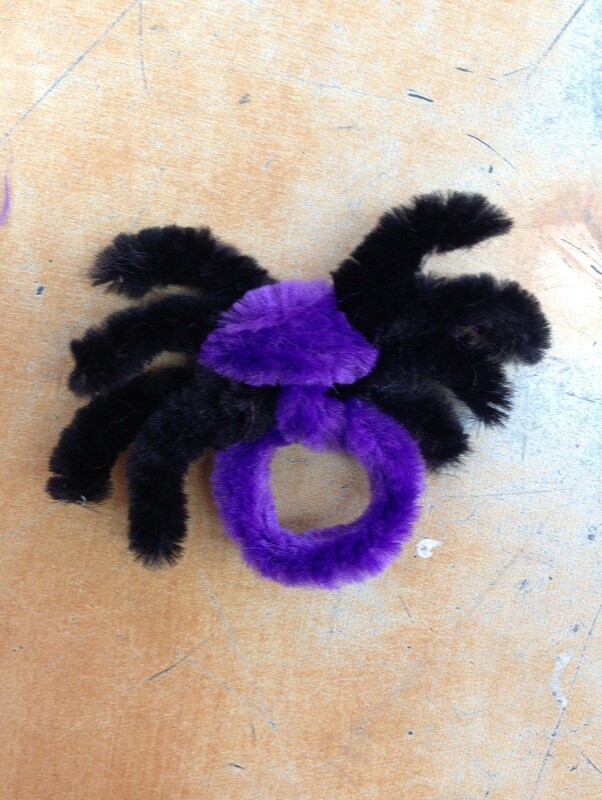 Add some googly eyes and your cute spider ring is complete. The pumpkin one is safer for young children. The only difficult part is making the pumpkin nice and round. 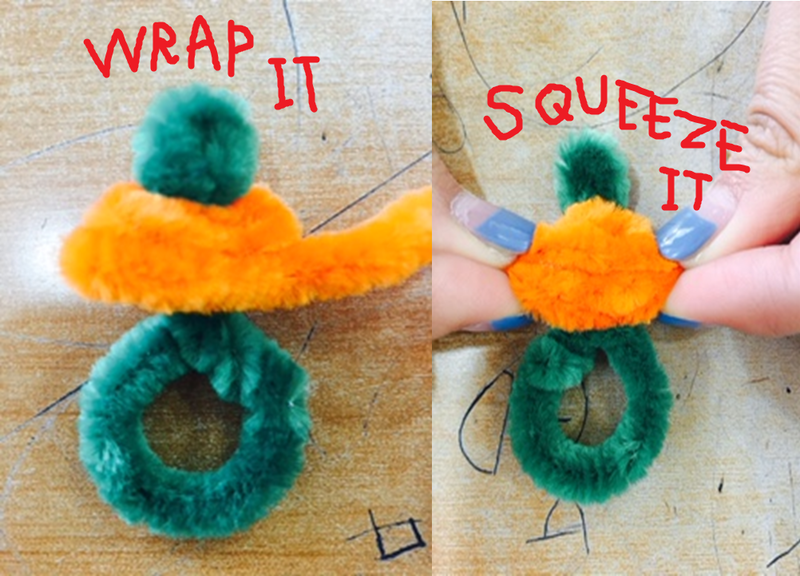 Twist the green pipe cleaner to your ring size. 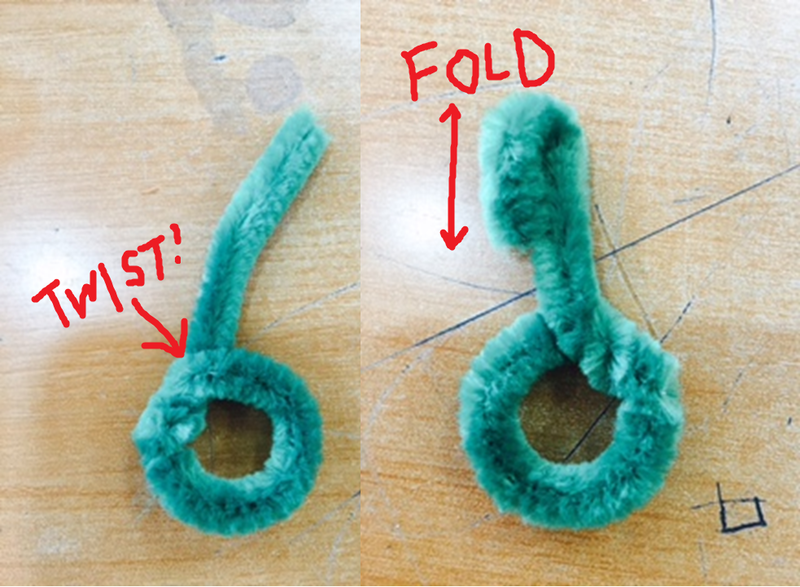 Fold the top for the stem. Take the orange pipe cleaner and wrap it around the green one. 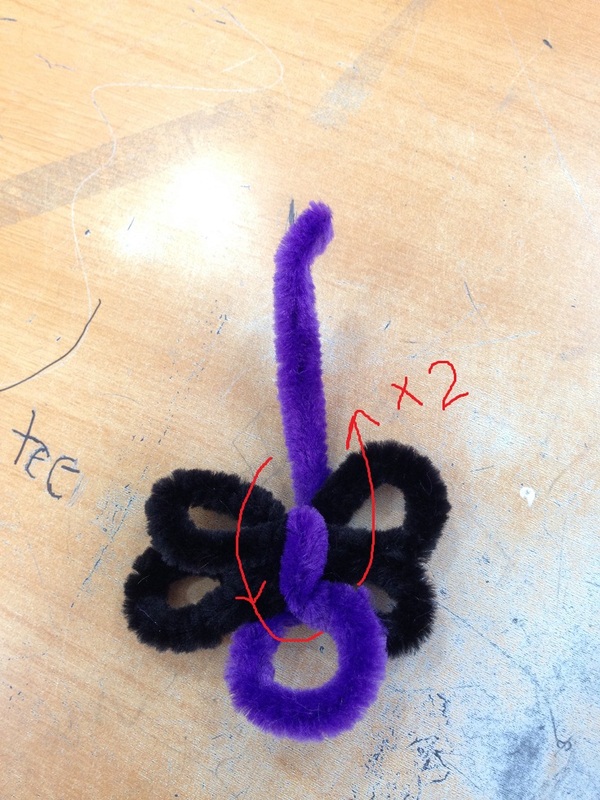 Squeezing may help with adjusting the shape. You can draw your own jack-o-lantern face with a pen, glue some cut out felt sheets, or add some googly eyes to finish. 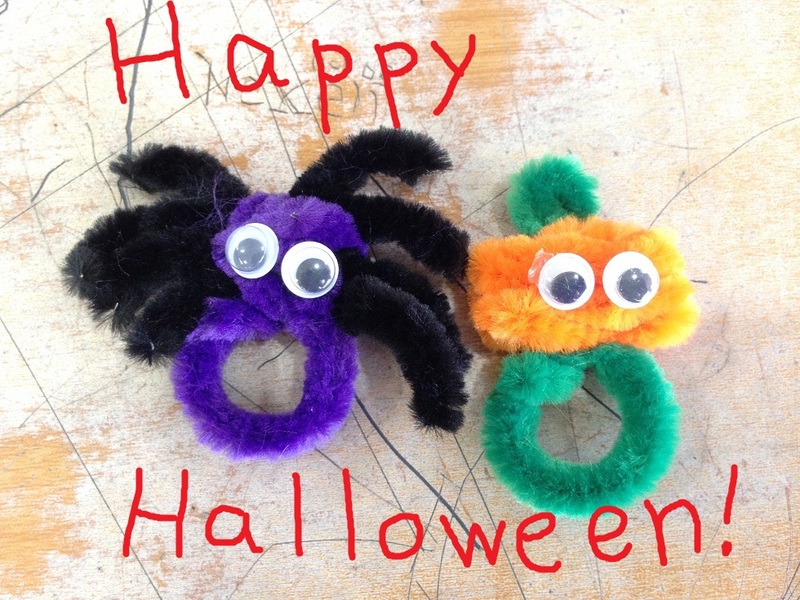 Hope you enjoy making this Halloween ring! Sharing my love for new places, food, and languages.